Welcome to Quirky Book Week on Skerricks! Five books that are just great fun - the kids like 'em, and I like 'em, and they make the library a happy place. Cheer up. 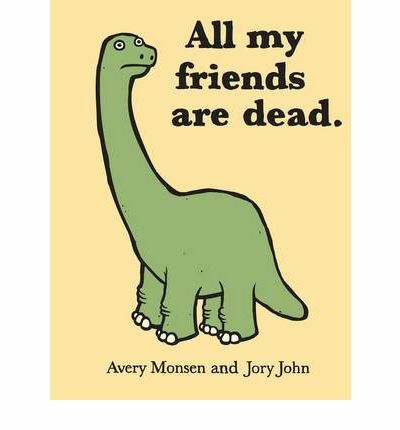 It's a really really funny book. Just make sure when you read the book that you read all the way to the very very last page. It's a smallish book, gifty-sized, and not expensive. It's making lots of friends here. Another way to make this library a place where there is laughter, and fun to be had, and discoveries to be made. So it's about library PR, too. Tune in tomorrow for another Quirky Book! 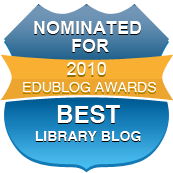 I called this blog Skerricks because it began as a gathering place for me for the bits and pieces (or skerricks) I wanted to record, remember and use in my work as a teacher librarian. Turns out it's useful for others as well. w00t! All text and pictures on this blog are copyright, by the author or as otherwise acknowledged. If you borrow an idea and mention it on your blog, I'd really appreciate a credit/link back here, so people know where you found it. Thank you! (I have found blog entries from here copied word for word into other people's blogs, with no attribution, you see). The views expressed on this blog are my own and do not necessarily represent those of my employer. Where in the (rotating) world are the readers of this blog? but wait! There's more! from CBCA and it's a bit crafty!! Please update your RSS! I miss you! The happy life of teacher librarians: HI MISS! I've been a Teacher Librarian for twentysomething years and a blog is a great way to share the stuff my flypaper mind finds amid the internet jungle. I'm also a year adviser at my school. If you want to reach me, leave a comment.